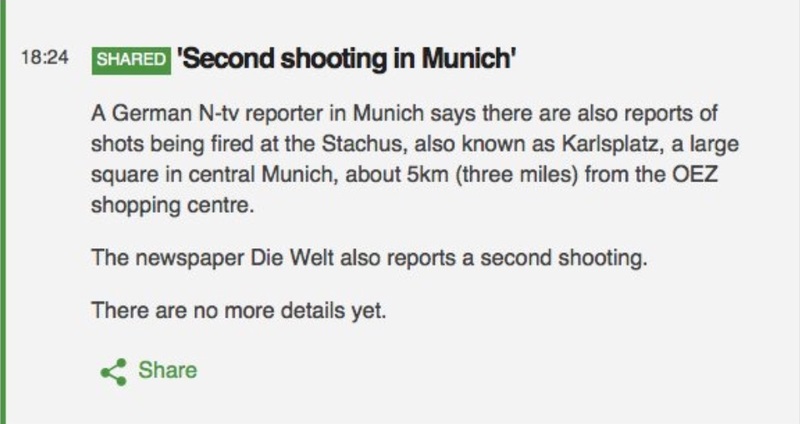 News is breaking in the last few minutes of a mass shooting in a shopping mall in Munich, Germany. Early reports say as many as 10 people were killed, though CNN right now is reporting only one fatality. No word yet on whether a telltale religious slogan was uttered, but stay tuned. We’ll update this post as more details come in. Let’s keep in mind that Germany experienced the Germanwing airlines crazy pilot who crashed an airplane, and also that Germany had a violent radical left faction back in the 1970s and 1980s—the Badermeinhoff gang—who may want back in the game. UPDATE 1: Latest reports are that the shooting is “over,” but not year clear if a shooter has been captured or killed. 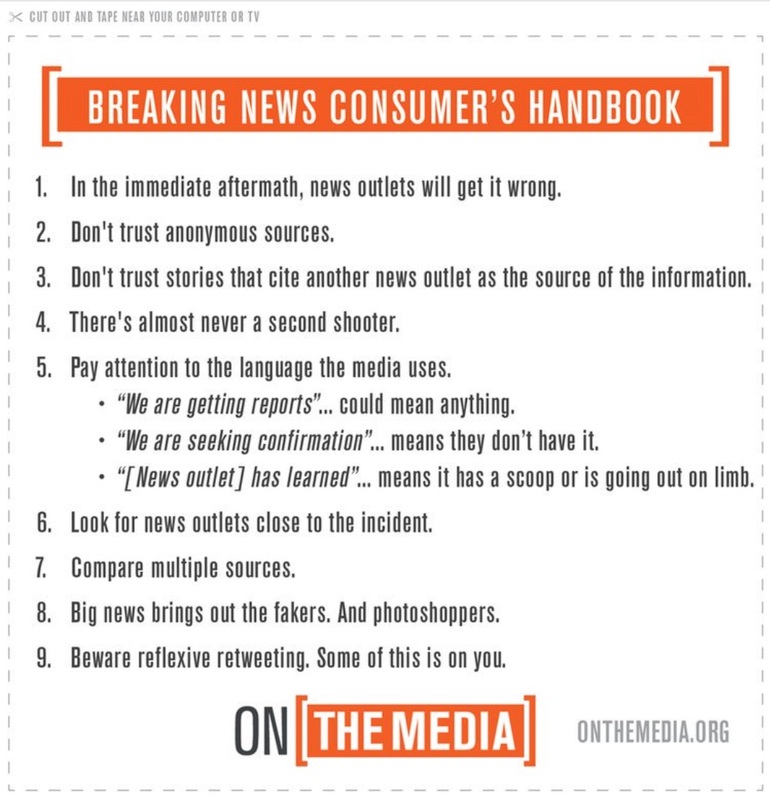 (Other news sources say the gunman is still at large.) Also, right now the police report one person killed and 10 injured. UPDATE 2: Reuters now reporting up to 15 people killed. Streetcar and subway service has been suspended; police urging people to get off the street. UPDATE 3: Rumor time–that there was more than one shooter, and that there may be another shooting taking place at a second location. As with most fast-moving stories, take these reports with a grain of salt. UPDATE 4: CNN now reporting shooters possibly at three locations, with one still at large. Another report says there were three gunmen at the mall. Yeah, global gun control. That’s the ticket. Will Hillary go ahead with her expected VP announcement today, or will she postpone it like Trump did last week? UPDATE 6: Some reports trickling out now that this is thought to be a “right wing” terror attack. Don’t know how this might be known before suspects arrested/killed/identified, but one witness supposedly heard native German accents spoken by a shooter. A coordinated attack—if it turns out be such—sound more like the Paris attacks than a lone-wolf right wing attack. But it’s the fifth anniversary of Andre Brevik’s mass attack in Norway. Shades of Oklahoma City ’95 if true. UPDATE 7: The whole scene is very confused at this point. CNN had a woman on the phone who claimed to have been inside the McDonald’s who said the shooter shouted “Allahu akbar,” but the video being looped endlessly shows a person who doesn’t obviously appear to be Middle Eastern, though it’s hard to tell. Could be a false flag provocation? NBC’s Richard Engel points out that so far this incident doesn’t quite fit the usual ISIS modus operandi. Someone will need to explain why someone was shooting a video of McDonald’s at the very moment the shooting started outside. . .